The Weeks case was also the first murder to be editorialized by New York City newspapers, a practice that became commonplace in the century to follow. Elma Sands – as Gulielma was known to her friends—lived in a boardinghouse at 208 Greenwich Street, run by Catherine and Elias Ring. Catherine was Elma’s cousin. In December 1799 there were six other people living in the house, including another cousin Hope Sands, a young woman named Margaret Clark, and Levi Weeks, a carpenter who shared a room with his apprentice. During his stay at the boardinghouse Levi Weeks was noticed paying attention to both Hope Sands and Margaret Clark, but he was also seen entering Elma Sands’s room late at night. On Sunday, December 22, 1799, the last the last day Elma was seen alive, she told Hope Sands that she and Levi Weeks planned to secretly marry that night. Levi Weeks worked for his brother Ezra Weeks, an architect who designed a number of landmark New York buildings including The Grange, Alexander Hamilton’s estate on Convent Avenue. Levi supervised the workers at his brother’s building sites. The evening of December 22, Elma planned to go out with Levi and Mrs. Ring helped her dress. Though Mrs. Ring did not see them leave, she heard the door shut at around 8:00 and believed that Elma and Levi had left together. At 10:00 Levi returned to the boarding house. He expressed surprise that Elma was out so late alone and denied that she had left with him that evening. The city was covered with snow, and a number of people saw Elma riding in a one-horse sleigh that night accompanied by two men. Ezra Weeks owned a one-horse sleigh and a horse that resembled the one the witnesses saw. When Elma failed to return that night suspicion fell on Levi Weeks. Eleven days later, some boys playing near the Manhattan Well at the intersection of Greene and Spring Streets, found a ladies muff floating in the well. It was identified as a muff Elma borrowed from a neighbor the night she went out. The well was probed and the body of a young woman was pulled out. The body was identified as Elma Sands. A coroner’s inquest was held and an autopsy performed, primarily to determine whether Elma was pregnant— she was not. The jury ruled that Elma was murdered and indicted Levi Weeks. Before the funeral, Elma’s body was on public display in the boardinghouse. When the crowd became too great, the open casket was moved to the street. It was guarded by friends and public officials, while thousands of people passed by. Richard Croucher, who also lived at the Sands’ boardinghouse, was actively spreading the story that Levi Weeks had killed Elma, claiming an accomplice from New Jersey had confessed. Handbills were published, possibly by Croucher, implying Week’s guilt. In colonial America, criminal defendants did not have the right to council but with the judge’s permission could discuss points of law with an attorney. Levi Weeks would change that, appearing in court with three of the most prominent attorneys in New York City by his side. 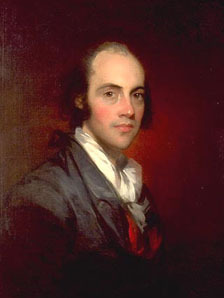 Ezra Weeks, wealthy and well connected, hired Alexander Hamilton, Aaron Burr, and Brockholst Livingston. Hamilton and Burr, though bitter political rivals, had separately been on one side or the other of every major trial in the city, and worked well together for Levi’s defense. Livingston, while not as famous a as the other two, was no less prominent and would later be appointed to the U. S. Supreme Court. 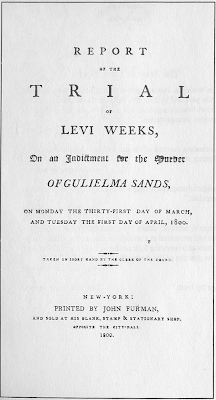 Aaron Burr may have had additional motive to work for Levi Weeks’s defense; he was the founder of the Manhattan Company that owned the well where the body was found. 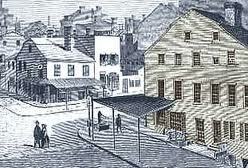 The case was tried in the Court of Oyer and Terminer and General Gaol Delivery, presided over by John Lansing, chief justice of the New York Supreme court, the mayor, the city recorder, and an alderman. The prosecution’s case was entirely circumstantial and not very compelling from a legal standpoint. The Rings and other tenants of the boardinghouse testified to the relationship between Levi and Elma, their plans to marry, and the events of December 22. One of the men who pulled the body from the well testified that her clothing had been torn and he believed her neck was broken. Medical testimony was given by dentist who saw the body after the inquest. He saw scratches and bruises on her body, including a ring of bruises around her neck as if she had been strangled. The defense asserted that Elma had committed suicide and challenged every point of the prosecution’s case. Physicians who examined the body for the coroner’s jury (who had ruled the death murder) now believed she jumped into the well. Acquaintances of Elma described her character as melancholy, and one said she had spoken of killing herself with laudanum. They attempted to tarnish Elma’s reputation by introducing testimony the she had slept with her cousin’s husband, Elias Ring. Levi Week’s alibi, that he was at his brother’s house discussing the next day’s building requirements, was confirmed by Ezra Weeks and several others who saw him there. In fact the event had very little effect on the outcome of the trial. The jury returned five minutes later with a verdict of not guilty. The verdict did nothing to change public opinion in New York. Levi Weeks was forced to leave the city, moving first to Deerfield, Massachusetts. When the story followed him there he fled to Cincinnati, Ohio, then to Lexington Kentucky, finally settling in Natchez, Mississippi where he became a successful architect. There were three recorded transcripts of the trial. The most thorough was written by William Coleman who ended his preface by saying he would make no statement as to the guilt of innocence of Levi Weeks. Ezra Weeks offered him $500 to remove the sentence and Coleman refused. He then offered to buy the entire edition for $1500 and Coleman refused this offer as well. The presidential election of 1800 pitted Thomas Jefferson against Aaron Burr and resulted in a tie in the Electoral College. 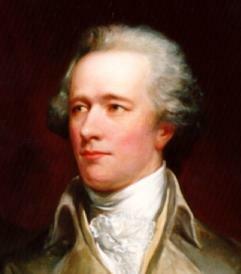 Alexander Hamilton's influence helped to elect Jefferson. 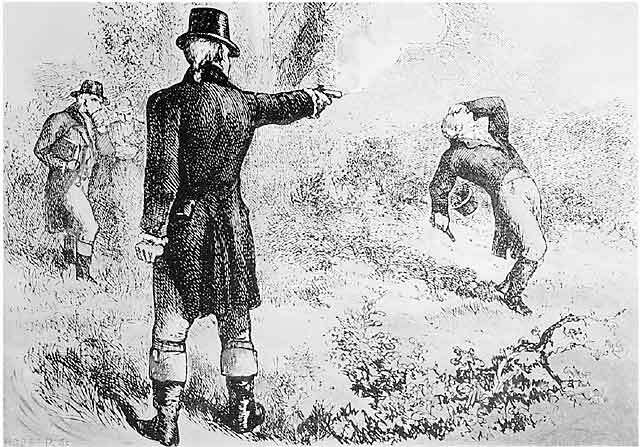 Animosity between Burr and Hamilton grew until on July 11, 1804 the two men fought a duel which ended with the death of Alexander Hamilton. In 1861 it was reported that eerie sights and sounds were emanating from the Manhattan Well. Shrieks were heard and flashes seen in the sky along with the appearance of a figure draped in white. As with all such hauntings, the phenomena did not occur when nonbelievers were present. Kleiger, Estelle Fox. 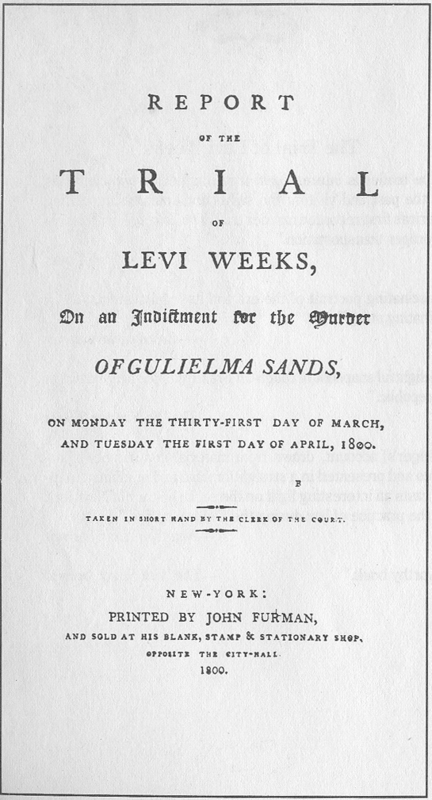 The Trial of Levi Weeks: Or The Manhattan Well Mystery . Chicago, IL: Academy Chicago, 1989. Lawson, John Davison. American State Trials: A Collection of the Important and Interesting Criminal Trials Which Have Taken Place in the United States, from the Beginning of Our Government to the . St. Louis: Thomas Law Books, 1914. Thank you for a wonderful read - I knew of this case, vaguely, but didn't really know about it until now. This is one of the saddest stories from early NYC - and one of the most important as it is the first recorded murder trial in the USA. Sadly, it's said that the victim Elma Sands is a ghost still attached to the well she was thrown into, which you can see in person. I was looking for more details on this case, besides the vague description that's on wikipedia, and I found it here. Thanks! My fourth Great Grandfather George Scriba was a jury member. What about Philip Hamilton he died on the 24 of November 1801 and the Manhattan Well Murder was on the 22 of December 1799. I also find it very hard to believe that Aaron Burr and Alexander Hamilton would work well together. I also think that you are biasing yourself and putting your own opinion in there this is supposed to be an informational article not an opinionated one. This is my blog, it is supposed to be whatever I want it to be. And yes, when they worked together Hamilton and Burr worked together well. Hamilton and Burr went to see it?? Just finished reading Duel with the Devil by Paul Collins. Very good account of the preceding events and the trial. Also was a good bit of information on Aaron Burr and Alexander Hamilton.